Find hotel near Parc Animalier De La Gran ..
Parc Animalier de la Grande-Jeanne is an animal park stretched over 10 500 m2 home to deer and sheep of Corsica. The park is a perfect picnic spot that would be greatly enjoyed by kids. A much recommended visit if you are looking for some quality time with family. No playing radio of making noise around enclosures. Exciting the animals or throwing things at them. You can’t feed the animals. For safety of animals motor vehicles are not allowed in the park. The best time to visit the park is on weekends and Wednesdays. Timings of the park are not available. How popular is Parc Animalier De La Grande-jeanne? 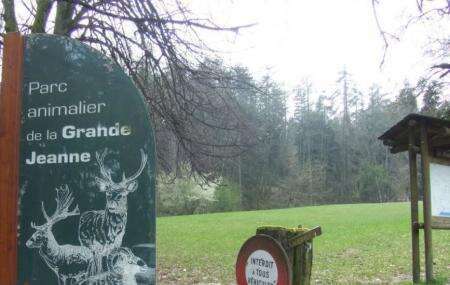 People normally club together Lake Annecy and Conservatoire Art Et Histoire while planning their visit to Parc Animalier De La Grande-jeanne. A nice place, there are some gazelles. Kids enjoyed it. مكان جميل يوجد به بعض الغزلان. ومنطقه للجلوس. Very few animal. It is 20 minutes stop if you are passing by it. Not worth coming from long distance. It was fun for my 4 years boy to feed the dear. It is nice for 10 min visit while going to the top especially if u have a kids. Avoid to visit this mountain before asking if the activities are open. Funny out of the blue park. Loved it and loved the Belvedere.